Sunday has become my 'write and promote posts day' so as well as regular end of week posting, there should be a lot more from my blog scheduled during the week whilst I'm busy stuck in the books. I commend anyone out there at University still maintaining their full blogging schedule, I simply don't know how you do it! 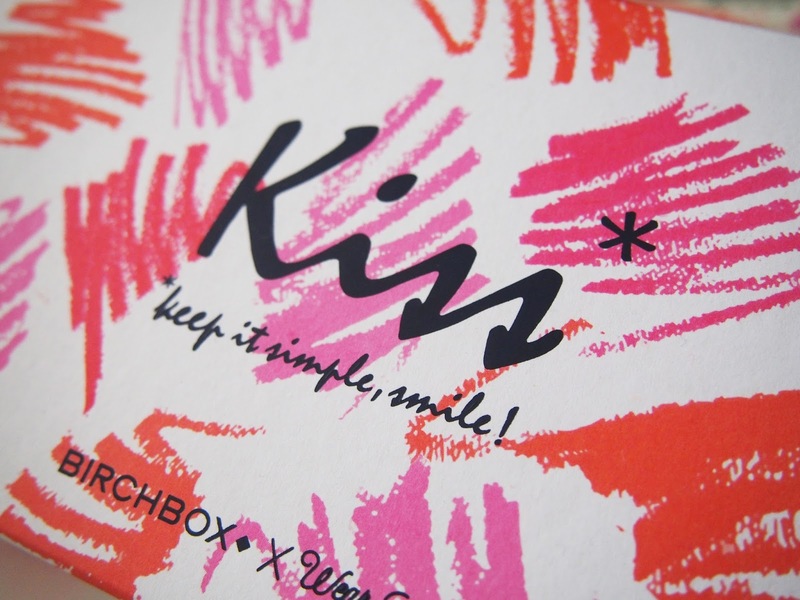 But, one cause for celebration is the gorgeous September issue of Birchbox in collaboration with Wear Lemonade. A very quirky, colourful and as always brilliant set of products to kick off Autumn. What did you get this month? Peony Cosmetics | Simona Lipstick | Original Price: $21 | With the tag line Kiss aka Keep It Simple, Smile the beautiful pastel pink lipstick is a welcome addition to my makeup kit. It smells so fruity and wonderful, the best smelling lipstick I've ever owned. At first swatch, I thought it was a little too light for me but having tried it on, it was actually really nice. I also tried it on top of Kylie's Dolce K lip kit which added a bit more of a pink tone to it, as well as with a darker liner on the lip to create a fade effect. Both worked so well, I can't wait to use this lipstick on more looks. Revlon | Uniq One Leave In Conditioner Lotus Flower | Original Price: £8 | I've never been a huge fan of anything 'Leave In' before, and somehow those types of products have never really worked on my hair. Until now that is... I am so impressed by the luscious formula of Revlon's latest hair release, it effortlessly improves the look and feel of my hair, whilst behind the scenes it repairs and protects the hairs most precious properties. Can't wait to try more! 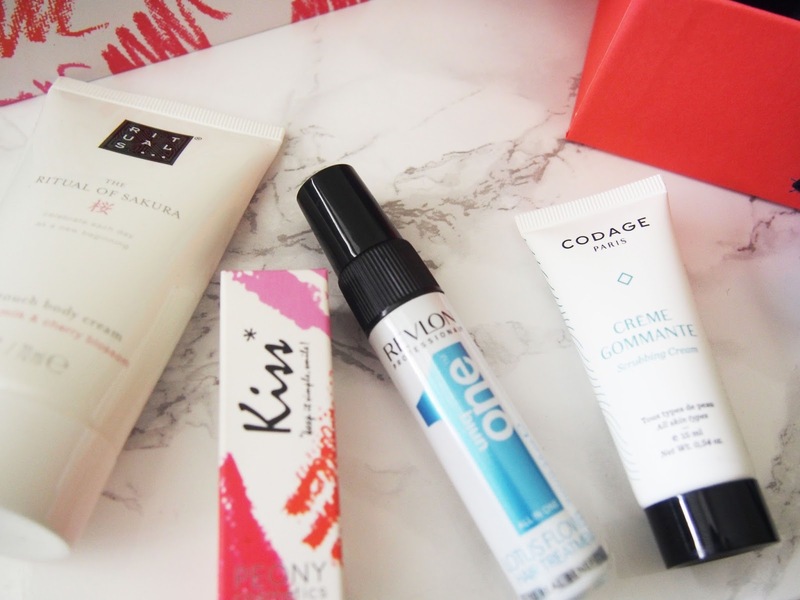 Codage | Scrubbing Cream | Original Price: £35 | If I can remember correctly, I've received a couple of products from this french brand in my Birchbox's before and it hasn't been all that bad. However, unfortunately, I just don't get on well with beaded products, especially cleansers. They annoy me and I personally don't see the benefits of using products with beads instead of using an exfoliating brush with the appropriate cleanser. If you're a fan of these types of cleaners, I would say this is a very high end, expensive option, but it might be what you're looking for. It just doesn't work for me; what are your thoughts on beaded cleansers? Rituals | Body Cream | Original Price: £19.50 | I fell in love with this brand since I first received their products in the mail back in February (I think?) and then went on to making a few orders myself on their site, which also was a great decision perhaps not financially. 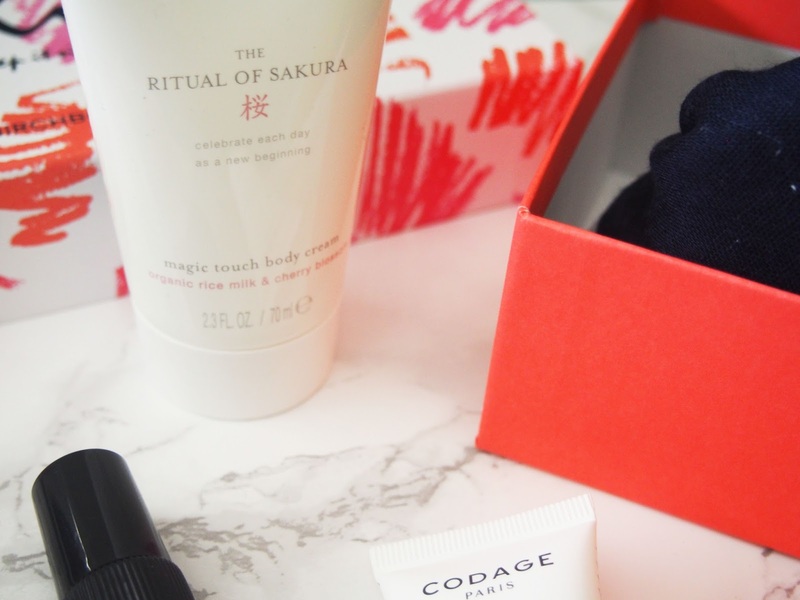 Rituals are in the mid-high end body and skincare category, and provide what I see to be gorgeously enriching products with the best ingredients for the best skin. The newest addition to my collection, thanks to Birchbox, is their magic Body Cream in a very generous sample size. 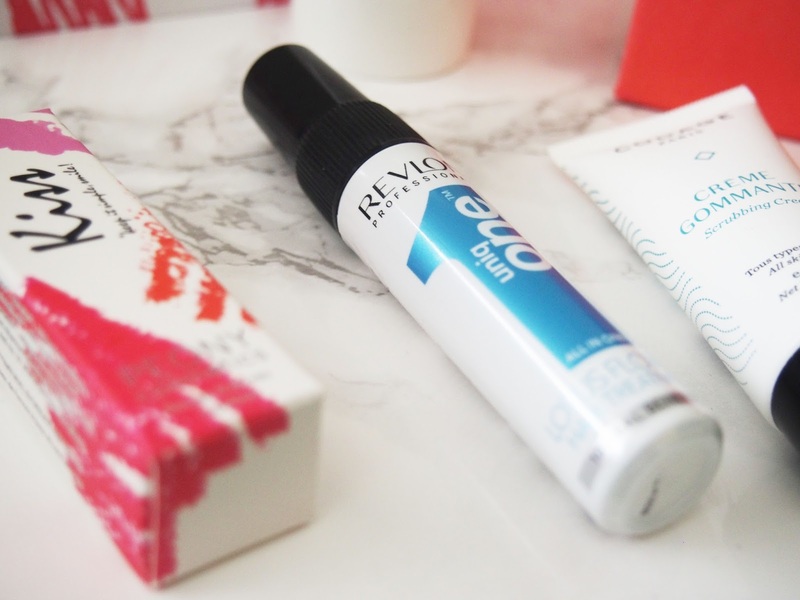 I am looking forward to adding even my Rituals goodness to my skin. 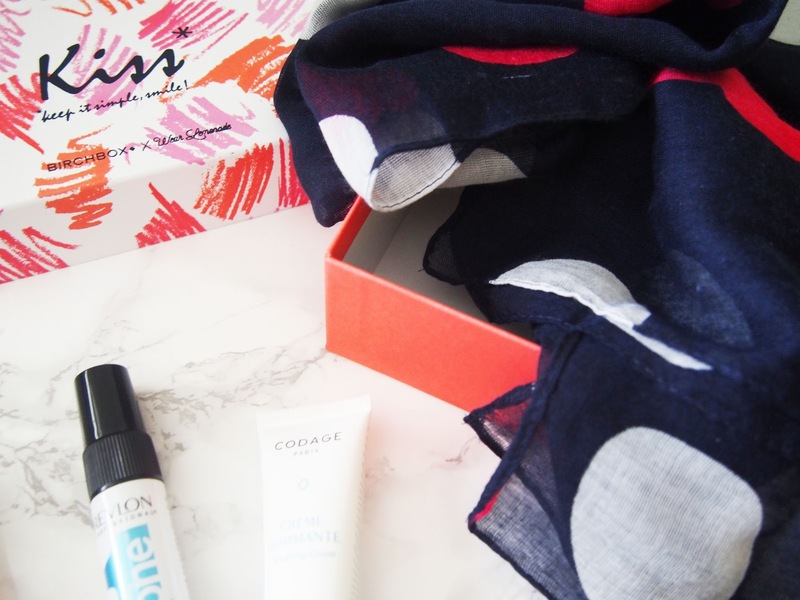 Wear Lemonade | The Mini Dalida Scarf | Original Price: £20 | As well as contributing to the boxes lively colour scheme, Wear Lemonade has also provided a gorgeous limited edition scarf designed by Lisa Gachet. The colour scheme corresponds to the aesthetic of Wear Lemonades new fall collection, so it gives you a taste of what to expect from that. I love its versatility, it can take the place as a statement scarf, handbag accessory, head scarf, wrap, you name it. It certainly has a place in my wardrobe. What did you receive this month? What are your favourite fall beauty products?